Following their involvement in the bankruptcy of car parts manufacturer Visteon, John Barker examines KPMG and the murky world of the "big four" accountancy firms. Capitalism is a mode of production, not a system. True it has its own internal patterns of circulation, dynamics and crises, but it has always depended on external kick-starts like the looting of South American gold and silver; colonial realpolitik; state infrastructure, both material and as protectorate; wars; and a variety of nominally neutral intermediaries. These intermediaries mainly consist of corporate lawyers, credit ratings agencies and accountancy/auditors. They are profit-making in their own right but take their share of by increasing the totality of privatized surplus value. In the ongoing crisis of this mode of production however, this has also taken the form of realizing – or attempting to realize – potential future surplus value in the present, as if it had it had already been created. At its simplest this has involved an over-valuation of capitalist assets. One of the intermediaries that has connived with, or been instrumental in this over-valuation, have been the credit-ratings agencies. For a brief period there was talk of limiting their power- and perhaps there will be regulations – but almost immediately, one the back of the Crunch-and-Squeeze, they resumed their god-like role in deciding the interest rate at which debtors, both public and private, should pay. These agencies are an oligopoly of three. The accountancy/auditing companies/partnerships are a global oligopoly of four, all with histories of merger. They are: PriceWaterhouseCoopers (PWC); DeloitteTouche; Ernst& Young; and KPMG. In their case there is little talk of post-crunch independent regulation, even though it is valuation which should be their expertise. They have not been subject to even temporary blame though they were consultants and auditors for Northern Rock (PWC), HBOS (KPMG), and Royal Bank of Scotland (Deloitte Touche). This particular ‘conflict of interest was addressed in the USA by the Sarbanes-Oxley Act of 2002, but the Act did not prevent the over-valuations that precipitated the Crunch. It helps the oligopoly’s freedom of action that they control the regulatory agencies of the accountancy sphere, and ; and , in the UK, that they are so integrated into the government. This involves profitable ‘ consultancy’ contracts with it; and a revolving-door with government/oligopoly personnel. At the same time they undermine the financing of this very same protectorate government by its proactive role in tax evasion. They are all in all, an especially privileged group: auditing has a necessarily captive clientele, and these four audit 99 out of the FTSE 100 top UK companies. In addition, by lobbying receptive governments, especially New Labour, they have all the tax advantages of being partnerships, while now enjoying a large degree of the limited liability accorded to non-partnership companies. Now, in the wake of the Crunch-and-Squeeze, they are, according to Prem Sikka, lobbying for yet more protection from claims against them by investors in their role as auditors. This investigation will focus on KPMG which had world-wide profits of $20bn (11bn pounds approx) of which 1.6bn pounds came from its UK operation. It was prompted by its role, as administrators, in attempting to deny the UK workers of Visteon their rightful redundancy money. Most of the evidence about its many legal scrapes is from Britain and the USA though they are global concerns. This is intertwined with their regulatory systems which, despite Sarbanes-Oxley are industry-dominated, raises the question of whether – given that it is a global mode of production – it is possible to talk of an “Anglo-Saxon” capitalism with distinctive neo-liberal characteristics. This is outside the purpose of this investigation, but it’s hard not to notice how Gordon Brown talks big about global financial and reform, and then cries foul at all attempts to seriously regulate financial capital based in London. 1 Given that it is an ad hoc, Big Four dominated institution that determines international accounting standards – and they are, international –it suggests that these characteristics are functional to global capital as a whole. The present crisis is making for all kinds of angers as its impact on not-bankers, and not-auditors is being felt, and will be felt for years to come. British Muslims and recent immigrant workers are an immediate target, and MP’s expenses a distraction. The intention of this investigation is to help in putting the spotlight on the outrageous and shameless actions of this auditor/tax avoidance oligopoly. It aims to show how it, and KPMG in particular, has its sticky fingers in so many areas of economic and political life, in which everything it does is to the benefit of capital and the individual rich. 2 It is a world-wide organization with offices in 24 of the approximately 40 tax ‘havens’. It also brings to light the elitism that rationalizes both its highly lucrative government consultancy, and its resistance to formal regulation which it does not control itself. It is that form of anti-democratic elitism which says that only the few who are in the know can understand the complexities of finance and contracts, even when those in the know are self-interested. A stand-out characteristic of KPMG is how cheapskate they are combined with constant self-advertisment of their virtues in their own publications. A piece of investigative reporting back in 2002 revealed that they would take a 500 pound fee for an hour of advice on personal tax avoidance. Sordid stuff. 3 It’s the case that the role of administrator, one of several that it plays, is not a major source of its revenues. 4 But KPMG are hired hands, and if there’s money in it, they’ll take it. In March April 2009 they acted for the equally cheapskate Ford Motor Company and its ‘spin-off’ Visteon, in attempting to deny the redundancy money to which workers in England and Belfast were entitled. When Visteon was spun-off from Fords in 2000, they were given contracts mirroring those of Ford car workers. This would mean that they would get 12-18 months wages as redundancy money. When Visteon in the UK was liquidated, KPMG as its administrators started from the position that the workers were not entitled to anything other than a cash payment equal to 16 weeks pay whether you had worked there 15 years or not. Its argument that Visteon was a separate entity from Ford, and had been so since 2000. Media slimeballs joined in, saying that anyway, things were different to how they were in 2000 and they couldn’t expect contracts from then to be applicable. But in this case KPMG - the hired hands – backed down in the face of successful occupation and picketing of Visteon plants. In June 2007, 1100 workers at KwikSave were made redundant with no promise of payment from them as administrators. In March 2008, redundancies were made ‘X-Factor style’ at Texol Technical Solutions, Dundee, that is without any consultation.5 KPMG’s Blair Nimmo said that they took their position as administrators “extremely seriously”, and advised the workers involved that they could talk to “their local Citizens Advice Bureau”. Nothing could show how out of touch the partners of KPMG are with the realities for poor people on the receiving end. They are on another planet when if, and that’s an if, there is a local Citizens Advice Bureau, there are likely to be queues around the block for those times in the week when they are open to give advice. Instead, from this other planet, they offer up what they call a Downsizing Service. “The provision of independent and professional advice to staff in redundancy situations can assist a company in negotiating, implementing and delivering on an efficient and non-confrontational severance package.” Non-confrontational? The Visteon workers would have been screwed had they not either occupied or then picketed the company’s plant with the company’s machinery inside. Independent? Who pays for a Downsizing Service? Efficient? Efficient for who? In theory, auditors have comprehensive powers. The recent House of Commons Treasury Select Committee on the Banking Crisis refers to their privileged position. “Apart from the regulator, nobody else has the right to delve into a company’s records, speak to their staff about decisions made and strategies being pursued.” 7 KPMG has the biggest client list in the UK, and this function, as for all the oligopoly, “gives them easy access to senior management and helps them to sell bolt on services,” like consultancy and tax avoidance. The concept of auditing is for the public interest but the client is not the public. The dangers of wishing to please the client (as has been the case with the ratings agencies) exist even without the bolt-ons, but these augment the dangers. As with the credit-ratings agencies then, there is a built-in conflict of interest, they are being paid give a true financial picture by those who employ them to do so. With such powers as they have, auditors – especially the Big Four - have no excuses when they are shown to have gone along with untruthful financial reporting whether through laziness, or a self-interested disinclination to challenge the senior managements of clients. On the other hand, there is a fault in current reporting standards themselves, like mark-to market asset valuation. Compliance with the standards did not produce transparent accounts, but then it is the partly Big Four controlled International Accountancy Standards Board which makes the standards. In the UK ‘serious negligence’ was admitted in June 2008 in the matter of its auditing the Independent Insurance which had collapsed in 2001. Purposeful negligence would be more apt, the not-checking of checking contracts (stop-loss reinsurance) they knew to be suspicious, and whereby a loss of £105m became a profit of £22m. The admission and the pay-outs involved took 7 years. The most revealing cases however involve BAE Systems, the arms manufacturer and HBOS, one of the British banks caught by The Crunch before The Squeeze. KPMG were and are BAE’s auditors. New Labour has made BAE untouchable by the Serious Fraud Office in relation to bribes to secure the company’s biggest Saudi contract. Some detail did however emerge in The Guardian on the 8th March 2004 when the company’s Novolight dirty-washing vault in Switzerland was brought to light, and the fact that it had set up secret subsidiaries in the British Virgin Islands (BVI), a tax haven in which KPMG has, what is in effect, a subsidiary, but over which the SFO had no investigative powers. In response to the article, a spokesman for the auditors said, “We do not consider the matters raised by The Guardian as representing a failure on the part of KPMG. UK company law requires only that principal subsidiaries are listed in a group’s accounts.” This is a typical resort to letter-of-the-law rationalisation and is besides, a moot point. Prem Sikka pointed out at the time that these subsidiaries should have been disclosed as BAE formed, and appointed directors to them. More important, the letter-of-the-law argument did not say whether KPMG were aware of these BVI undisclosed subsidiaries. The presumption can only be at best that the auditors turned a blind eye, as is also what appears to be the case of Siemens, a bribery scandal that is still out in the open, and has become a cinematic political drama in Greece. Prem Sikka and John Dunn note “...the importance of audit as a vehicle for securing other, more lucrative business. Audit provides an opening for accountancy firms to impress their potential industrial or commercial employers with zeal about punctuality, meeting deadlines, attention to detail, the value of surveillance...” 11 To which we might add, ‘turning a blind eye’, as is clear from looking at the auditing record and failures of KPMG and others of the ‘Big Four’. With HBOS – so Crunched as to require a forced Lloyds Bank takeover - no legal wrongdoing is suggested, neither is it exceptional - Deloitte Touche’s role in the Royal Bank of Scotland(RBS) fiasco being another spectacular case 12 - but it is revealing both as to the nature of regulation and supervision in this world, and is a stark example of KPMG’s ability to pontificate in areas where it has proved itself incompetent. The relationship was not new. KPMG had been auditor/consultants/tax advisers to HBOS since 2000 in which time it has been paid £55.8 million in audit fees and £45.1.million in other fees. These other fees included its provision of 30 “integration experts” during HBOs’ Northern Rock-style ambitious phase for a takeover of Abbey. In this ambitious phase, allegations were made by HBOS’s former head of risk, Paul Moore, that an aggressive sales culture was undermining its risk policy changes which were approved by KPMG. 13 According to the FSA, the changes were “fully investigated by KPMG which concluded that the changes made by HBOS were appropriate.” What was odd about this was the very fact of Moore’s complaints being referred to KPMG for further investigation when they themselves were the auditors. If any of Moore’s allegations had been shown to be true, “it would have reflected badly on the auditor’s own assessment of internal controls and such like.” Something similar may happen if the FSA’s belated investigation into the actions of RBS executives takes place, given that Deloitte Touche, the banks expensive auditors and the others of the Big 4 have been invited to bid for work linked to the investigation. In fact, as Prem Sikka has pointed out “All banks claim to have complied with extant accounting standards, but their published accounts are opaque. Accounting rules and auditors have allowed banks to show toxic assets at inflated values”. 14 This was done by allowing an accounting practice called ‘mark-to-model’ which allowed banks to estimate values for financial instruments. None of this prevented them from sponsoring this year’s British Banker’s annual international conference the theme of which was that lawmakers and regulators needed to take care not to ‘over-regulate’. Nor from producing an “Integrity Survey”, the latest of which is for 2008-9. It has tables measuring how employees believe ‘policies and procedures are easy to bypass or override’, and ‘rewards are based on results not the means used to achieve them’. All this, as if such questions had nothing to do with KPMG itself. As if it itself had never overridden policies in the interest of profit. 15 A similar spurious objectivity is presented in the ‘Looking Back’ section of its own 2008 Corporate Social Responsibility (CSR) survey. “The first part of the decade,” it reads, was marred by corporate scandals with companies coming under scrutiny for dubious accountancy practices and corporate government approaches. This caused regulators, shareholders, employees and consumers to demand better ways of tracking the health and value of a company – ways that included a departure from the traditional financial report.” Dubious accountancy practices? Not us mate. Besides which the problem was not with the ‘traditional’, but in the black holes of what does not have to be reported. Neither has any of this prevented them from playing the objective wise-after-the-event-guy in a glossy KPMG publication entitled “Rethinking Banks’ Approach to Risk Management.” It is as if the HBOS events had never occurred: as if it was not being sued as auditors in the case of New Century for the kind of inappropriate accounting that contributed to the Crunch ‘n Squeeze. The glossy instead talks of ‘streamlining’ risk management responsibilities; of ‘better information for decision-making’; the need for ‘robust data’; and changing the ‘prevailing organisational culture’. This culture, it hardly needs saying is what KPMG itself is integral to. Meanwhile the good ship KPMG sails on, the past is the past, and havens ahoy. It has been allowed to place secondees in sensitive departments in the Inland Revenue, Department of Trade and Industry, and the Serious Fraud Office, allowed when its record in tax-avoidance schemes was well-known. It loaned KPMG man, Rees Aronson to serve as the Labour Party’s finance director for a year. Now in September ’09, it emerges that the Department of Health - from whom KPMG receives consultancy fees - former commissioning chief Mark Britnell, a prime mover in health privatisation, is to join KPMG. It sponsored and had a KPMG partner on an ‘independent’ commission set up by the Labour think-tank to promote PFI deals. This latter instance is hardly exceptional in an era of think-tank reality, when it is hard to know what research in almost any field is not financed by self-interested parties. In this respect, there is no one to match KPMG in its brazenness. Thus they have produced their own “Effectiveness of Operational Contracts in PFI” survey (2007). It praises ‘innovation’ and calls for ‘flexibility’, so that the current style of rigorous competitive tendering for contracts under narrowly-defined PFI is not the norm. It does this even though there is no evidence of ‘narrowly defined’ contracts in this, their own survey. The message: Nothing Too Rigorous Please! And then, in the Foreword with a cheek that takes the breath away says “We hope this survey will help to inform the debate – all too easily hijacked by politically motivated and emotive soundbites – about how to deliver the best value for money public services.” 22 This when the debate has in fact been hijacked by its own self-interest while it talks of the benefits to innovation from PFI, and that most contracts are performing well. This, to put it mildly, is a moot point. For one thing such projects are, relatively speaking, without risk. And for another, it is hardly coincidental that in a period of a surplus of capital, companies and corporations have been so keen to pile into the education and health sectors where, previously, their role had been limited. Where things get really seedy is in the ‘developing world’ in which KPMG acts as a privatization consultant-enabler. To state the obvious – the obvious being so frequently buried – privatization is based on the ideological assumption that ‘efficiency’ can only be achieved by those pursuing private profit whether as individuals, corporations or partnerships. Once again the UK government, via its Department for International Aid has been prominent in giving out such consultancy contracts, especially under Clare Short. It sold the UK as a leader in worldwide privatisation with briefings sponsored by members of the oligopoly. Notoriously – or at least it ought to be notorious – contracts went to the ‘free market fundamentalists' of the Adam Smith Institute, but it is the oligopoly that has done best as has been documented by John Hilary of War on Want 26 and again by Action Aid. 27 The World Bank with its own ideological commitment to privatisation, which has the added benefit to international capital of increasing the dependency of basic services consumers, is another contractor. A key role of the contracted consultancies is to “bypass the democratic process, with debate restricted to a small coterie within favoured government ministries.” 28 To ensure this role, specific project aid is frequently dependent on recipient acceptance of such consultants. Citing Privatisation International for their relative placing in 1999, Hilary notes that KPMG took second place to PriceWaterhouseCooper in the number of privatisation mandates it held. Second place reflects their relative size, but for KPMG it still amounted to 153 such contracts, and in 2003 it was the chief beneficiary of DFID contracts. In one instance cited by John Hilary, both they and PWC were consultants on a World Bank backed electricity privatisation in Orissa. It is a reform programme described as ‘a fiasco’ by The Hindu reporting on the findings of the Kanungo Committee’ s report on what had happened. 29 It had resulted in retail power tariffs being increased while peak shortages continued. 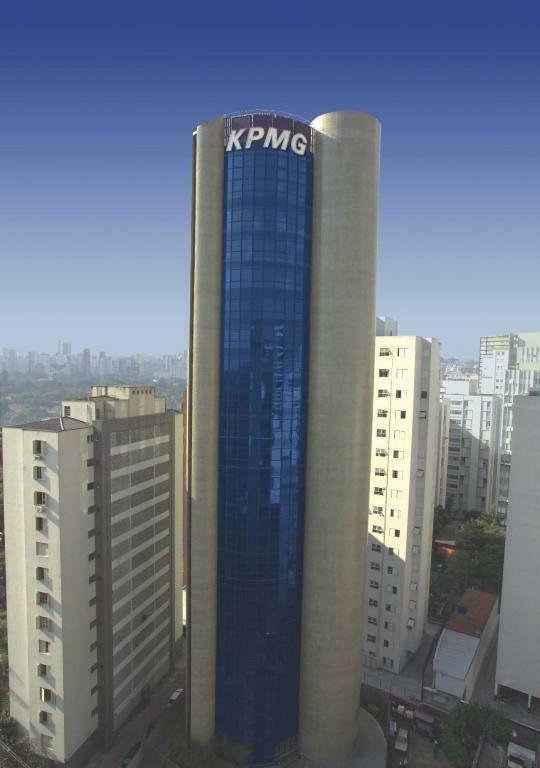 Electricity has been a favourite area for contracts and KPMG, for example, was appointed to provide advisory services in both Africa and India. In fact they play a double role in privatisation mania. The World Bank has made a pincer movement whereby governments are less able to finance its health and education responsibilities as a result of pressure to get rid of import taxes, a previously major source of revenue. But on an even larger scale ‘developing world’ governments are denied revenue by that form of tax avoidance by multinational companies which is called ‘transfer pricing’. This was not however an isolated case to ’learn’ from. The collapse of WorldCom as well as Enron revealed a set of tax avoidance schemes, and prompted Sarbanes-Oxley. Citing the US Bankruptcy Court in 2004, Prem Sikka describes how WorldCom, advised by KPMG, “used a variety of strategies to avoid taxes at home and abroad. Transfer pricing techniques alone enabled it to amass $20 billion of revenues on which it paid little or no corporate taxes.”35 In the same paper Sikka, citing US Senate Committee on Permanent Investigations in 2003, describes how KPMG created a “Tax Innovation Centre”, which was treated as a profits centre. 36 Significantly, the Committee concluded that “the penalties for noncompliance are much less than the potential profits from selling the tax product.” In 2005 it was condemned again by the same committee. The language is extraordinary. ‘Highly technical’, so easily misunderstood then by non-specialists; ‘planning’, the common sense planning of any sensible person; ‘widely available’ , well that’s OK then, it was normal; ‘the tax marketplace’, what, like any other commodity where one shopped around for the bargain. The newspaper followed up its series by revealing an internal KPMG memo from head of tax, Sue Bonney on how to avoid answering questions about tax, but also providing template answers just in case they could not be avoided. “Tax is a business cost to be managed like any other,” she says. And that “tax avoidance is legal. KPMG is compliant with the disclosure regime and accordingly transparent.” This hardly renounces tax avoidance, and tells us once again that nominal ‘transparency’ is no guarantee of accountability. Instead she says “we work ourselves to a set of principles which govern what we will and will not undertake.” Oh well that’s all right then. Self-regulation as usual, but, in addition , it turns out, it is working with government on key tax ‘policy dilemmas which face the Treasury at the moment and where we are actively engaged with them as they work out their response to those challenges.’ But if tax avoidance is legal, how is the challenge of making sure that all tax is paid (so that public services do need to be cut) to be realized? It’s a reasonable rule of thumb that the use of an anachronistic image to describe present-day reality, is going to be dodgy. As the same old banality is wheeled out to oppose enforceable regulation, we’re entitled to ask: Red Tape? In the computer age? What is actually meant are things like health and safety regulations for workers. We know that regulations of this type have been hollowed out over the years and been replaced by self-regulation. This is one characteristic which has encouraged the notion of Anglo-Saxon capitalism. With the oligopoly one of the most dangerous rationalisations of self-regulation is that only the self-interested have the expertise to regulate. Tax schemes are ‘highly technical’ and cynical revenue overvaluation as in the case of Xerox, are ‘complex professional judgements’. At this year’s British Banker’s Association annual, which KPMG sponsored, its Financial Services partner, Bill Michael, made a premptive strike against regulation saying, “Complexity is here to stay, ” in his keynote speaking slot. New Labour with its fetishizing of self-interested professionalism, has embraced this with enthusiasm.So much so that despite its presence in so many tax havens, KPMG was selling advice to the government on tax havens like Belize. Now, KPMG’s Sue Bonney talks of ‘working with the Treasury' on key tax ‘policy dilemmas.' This doesn’t come from nowhere, of the 18 or more people KPMG has placed in government departments over the years, three were loaned to the Inland Revenue. An Inland Revenue internal report of 2000 talked of this helping to ‘modernize’ itself with outsiders while feeling that “one of our difficulties is that people often perceive a potential conflict of interest.” This is classic New Labour, it’s not that there is a conflict of interest, it’s that people might perceive it to be so. KPMG is a cheapskate and significant worldwide, profit-driven, servicer of capital. In some sectors, like the supermarket oligopoly, the tactic of naming and shaming has worked in the matter of super-exploited workers in the sub-contracted chains of food production. Shamed because of their ethical pretensions. KPMG has no such direct chains though those who clean its offices will be grossly underpaid. It is seemingly shameless in what it does and yet is thin-skinned. Its grotesque company song was ridiculed on a web site which prompted a complaint in pompous legalese, from its senior manager for global brand and regulatory compliance, of an absence of agreed contract. At the same time it can switch from letter-of-the-law rationalisations of its shameful behaviour to grandiose ethical and ‘green’ claims at will. For itself, its claim to Brownie points centres on its ‘green/sustainability; credentials. 48 It has had to take second place to PriceWaterhouseCooper in the profitable and murky world of carbon trading, 49 but instead has a KPMG Carbon Management Systems which supports a Carbon Disclosures Board formed to get climate change information into mainstream reports. But at the same time there is also a KPMG Carbon Advisory Group with ‘a dedicated team of 200 professionals’’ with ‘vast experience and understanding of the carbon market’. So what do they do? It works on the basis that ‘climate change is an economic issue, which, like other strategic business concerns, should be addressed at board level in order to maximize the potential business benefit.” 50 In addition it offers itself as a leader in the ‘field of sustainability’. With its own KPMG Global Sustainability Services. It is, it says’ a market leader in offering assurance and verification services for sustainability reports.” 51 Assurance and verification?! The gap between what KPMG does in the services it offers capital, and the flim-flam with which it advertises itself, opens it up to Naming and Shaming, just as the Crunch has revealed its self-interested incompetence and the suffering this is causing. This is not an unimportant possibility, but it has never been enough in itself to change much. What this investigation has tried to show is not just this gap, but the comprehensive nature of the profit-making services KPMG –as representative of the Big Four – offers. It is this comprehensive nature which offers the possibility of anti-capitalist alliances against this oligopoly that is integral to the present phase of the capitalist mode of production, and which connived at the crisis which capital is using to its own benefit. The most effective anti-capitalist actions are at the point of production, and defensive struggles against new enclosures. It is those actions that are self-organized and self-empowering which are the most profound. This does not however preclude the possibility of wider alliances. It’s hardly news that sectarian comfort zones have weakened ‘anti-capitalism’ in Britain for a very long time. Partly this is because of a paralyzing fear of ‘reformism’. Measures that shift wealth and confidence away from the rich are only reformist when they are left to reformists, when they define the limits of the how-and-what- can be achieved. Instead there has been an absence of shrewdness which has meant not taking opportunities, but rather, in some cases, going in for naff opportunism of the sectarian recruiting variety. At the present moment when predictably, global financial regulation rhetoric is just that, rhetoric, and it is capital that it is taking the opportunity its own crisis - by further oligopolisation, downward pressure on wages and further concentration of land ownership – there are still counter-opportunities which have the potential to unite disparate groups against its regime. The most immediate is that of tax avoidance and tax havens which, as I’ve argued are not extraneous to the power of capital. Popular anger on this has been understood by the governments of nation-states, and on this issue they - often prompted by whistleblowers – are taking the reformist route, that is very partial restrictions on the activities of tax havens. This is especially true in Britain when over half the world’s ‘havens’ are in British dominions. Gordon Brown talks of “an international agreement for the exchange of information in relation to taxes.” What is required are real consequences from such information exchange, and this will only happen by outside pressure. An alliance to make this pressure will include those groups pushing both for country-by-country accounts to prevent transfer (mis) pricing, and for “automatic information exchange” with compulsion on British controlled tax havens. As it stands, none of the Big Four are willing to support country-based reporting of profits; and the “automatic” exchange proposal is rejected on the grounds that it impinges on “privacy and confidentiality.” These are people who have many times calculated that the gains from tax avoidance outweigh any penalties from nation states which buy into the myth that the ‘free’ market is cost-free. As the severe cuts in public spending take effect tax avoidance will provoke more anger. What is required for this to produce more than reformism? As surveillance of the incomes of the poor is increased, the question to be asked, ‘Privacy and Confidentiality’ for who? Being persistent in highlighting that $5 trillion of black money that is functional to the capitalist mode of production in its present phase. Being persistent in challenging both the expense, pro-profit bias, incompetence and elitism of self-interested consultants infiltrated into government. Challenging not just the free market’s claim to efficiency in the optimum use of resources by the ‘free’ market, but the sheer cost of its infrastructure, all those analysts, auditors, financial ‘advisers’, financial traders, and consultants. Never forgetting that the same KPMG sponsoring the City of London Academy, and talking ‘green’ would bleed you and your radiator dry with the same smiling self-righteousness. 4. Though PWC is doing very well out of its working ‘unwinding’ Lehman Brothers. In the present crunch-and-Squeeze redundancies it may also be a growing area of work. There have been several instances and methods of companies and individual employers looking for ways to avoid paying proper redundancy payments, let alone fulfilling pension obligations. A recent wheeze has been to increase employee drug testing for evidence of ‘recreational drugs’. 6. The Limited Liability Partnership Act of 2000 kept the perks but gave audit firm partnerships limited liability , in that the main liability was placed on the individual auditor; this, according to Accountancy Age (29/03/2001), after threats from Ernst& Young and Price Waterhouse to shift their partnerships offshore to Jersey. Prem Sikka also alleges that the architect of the policy was Stuart Bell MP who went on to become a consultant for Ernst & Young, a fairly typical case of ‘revolving doors’ within the power elite. In the 2006 Companies Act, it was established that their duty is to the company as a legal person, and not to any other stakeholders. It permitted auditors and directors to negotiate limits to auditor liability. Now, according to Prem Sikka, in the wake of the Crunch-and- Squeeze, they are lobbying for yet greater protection. The same steady dilution of auditor liability laws has followed a similar path in the USA, though there at least a Public Company Accounting Oversight Board (PCAOB) was created by the Sarbanes-Oxley legislation, and has been critical of KPMG on several occasions. 8. Other pay-outs in the face of shareholder lawsuits were in the cases of Rite Out 2003: $125m; Lernout and Hauspie: 2004, $120m: An ongoing case with Fannie Mae involves that hybrid company suing KPMG for wrong advice, and KPMG counter-suing on the grounds of being given wrong information. At the same time both are trying to blame shareholders; In October 2008, Australian regulators began legal action against KPMG over its auditing of collapsed property developer Westpoint for negligence. 10. It is on this relationship that Title II of Sarbanes-Oxley places restrictions. 12. They doubled their fees from state-financed RBS from 31.4 million to 58.8 million while signing off its 2008 accounts as a ‘true and fair view’. 15. In this recent “Integrity Survey” it has a section on how organizations respond to misconduct whistleblowing (and therefore the likelihood of whistleblowing), as if it hadn’t been called in to investigate just such misconduct in HBOS with which it had been so involved. And handily enough this section reports that the lowest rates of reported misconduct were in the “highly regulated industries such as banking and finance”. 28. “Profiting from Poverty” p11. This bypassing of the democratic process is hardly unknown in the UK itself. 32. In 3 well-researched pamphlets: “The Morning After the Day Before”; Death and Taxes, The True Toll of Tax Dodging”; “False Profits: Robbing the Poor to Keep the Rich Tax Free”. 33. Their importance was indicated when Alan Greenspan rationalized not regulating them, by saying such regulation would drive them further underground. He did nor specify where the further undergrounds might be. Warlord banking? 34. With Nigeria, Pakistan, Vietnam and Bangladesh as the biggest losers. 35. There is also ‘legal’ avoidance as factored in by private equity buy-outs where profits are offset against the repayment of leveraged debt. 41. This was raised by the Pensions Investment Research Company. 42. An attack on the predominance of the Big Four as a ‘dangerous time bomb’ by Alexander Shaub (Director General of internal markets at the EC) to another self-interested grouping, the European Federation of Chartered Accountants 4 years ago, was rejected on the grounds that “it could discourage auditors from developing genuine expert knowledge of a company’s affairs.” Here they’ve upped the ante, it’s not just expert knowledge they alone have, but genuine expert knowledge. 44. Peter Montagnan, another pension fund representative had – in pre-Crunch 2006 – raised the matter of regulatory non-independence and was told that though there might be a conflict of interest in this, more independent regulation could leave it looking “out of touch”. Out of touch with who? 47. This is a world in which Goldman Sachs have produced an Environment, Social and Governance framework. Goldman Sachs?! 48. It is especially keen to boast of its International Green Initiative which aims to reduce its own ‘carbon footprint’, based on its recycling of old technology equipment. On the strength of its Montvale (New Jersey) campus it was added to a list of Top Green-IT organizations by “Computerworld.” Great stuff but these are office guys, so how much greenhouse gas do they produce in the first place? It looks like the search for more Brownie points. 51. KPMG: “Global Sustainability Services”.